Iran are still unbeaten in the 3rd stage of qualifying and have not conceded a single goal so far. 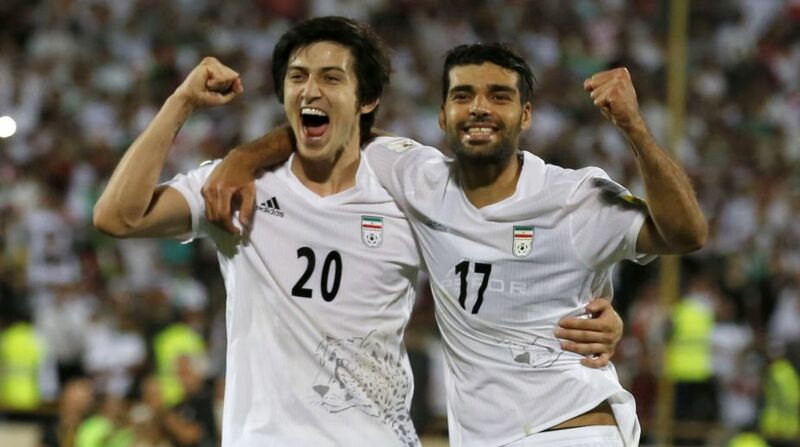 Sardar Azmoun and Mehdi Taremi were on target as Iran confirmed their spot in the 2018 World Cup finals with a 2-0 victory over Uzbekistan at the Azadi Stadium here. It was Iran's sixth win from eight matches in Group A which took the table-toppers to 20 points, while South Korea are second on 13 ahead of their match against Qatar on Tuesday. Iran are still unbeaten in the third stage of qualifying and amazingly have not conceded a single goal during the campaign, thus underlining their credentials as one of Asia's football giants. On Monday, they recorded their second win over Uzbekistan on the road to Russia, with Rostov forward Azmoun first finding the net in the 23rd minute with a right-footed shot from the left of the box following a through ball from Alireza Jahanbaksh. Iran were clearly the dominant side in front of their home fans and could have easily emerged winners with an even more impressive scoreline but for some lacklustre finishing. In the 48th minute Taremi drew a foul from Akmal Shorakhmedov, but Masoud Shojaei fired the resulting penalty high over the crossbar. The Uzbeks struggled for momentum and failed to break down the famed Iranian defence, eventually conceding their second goal of the match in the 88th minute with Taremi finishing from Azmoun's pass. Iran have played in the World Cup finals four times in the past – in 1978, 1998, 2006 and 2014 – while Uzbekistan are still seeking their first ever qualification. Samvel Babayan's men, who have 12 points from eight matches, are not yet out of contention for an automatic place but will have to win their remaining two matches and hope other results go in their favour. Iran join hosts Russia and five-time champions Brazil in securing a place for the tournament which runs from June 14 to July 15, 2018.